Anne-Marie Duff and Rory Kinnear. MACBETH, SHAKESPEARE'S dark and violent drama of political ambition, betrayal, murder, assassination, corruption, and greed, is being staged by Britain's National Theatre, and will be broadcast live to The Eye Cinema. In the aftermath of a devastating civil war in Scotland, the Macbeths are propelled towards the crown by forces of elemental darkness and their own ruthless ambition. 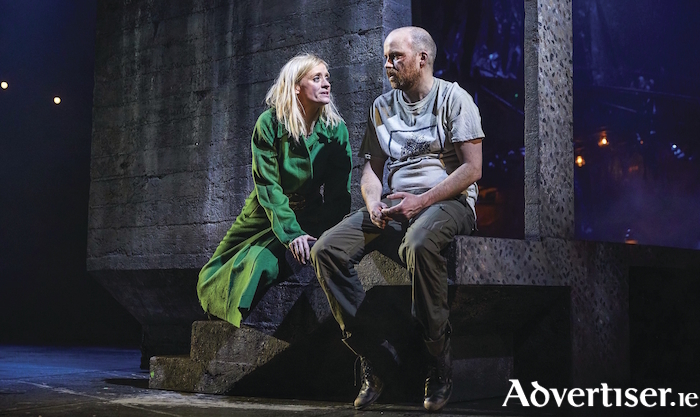 The production is directed by Rufus Norris (The Threepenny Opera, London Road ), and stars Rory Kinnear (Penny Dreadful, Black Mirror, The Imitation Game ) and Anne-Marie Duff (Suffragette ) as Macbeth and Lady Macbeth. Macbeth will be screened at The Eye on Thursday May 10 at 7pm. For bookings see www.eyecinema.ie or call 091 - 780078.